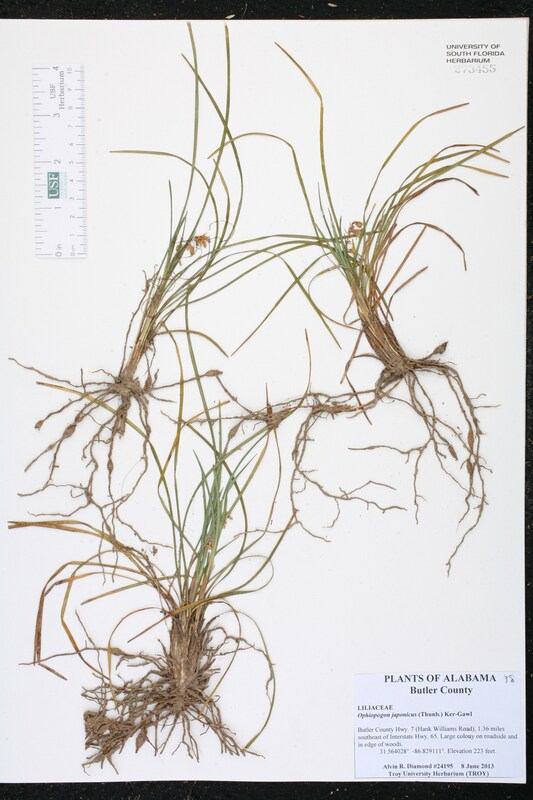 Taxon: Ophiopogon japonicus (L.) Ker Gawl. Locality: United States, Alabama, Butler Co., C-7 (Hank Williams Rd. ), 1.36 mi. SE of I-65. Habitat: On roadside and in edge of woods.